On March 13th, following a series of events organized around the world by LVMH and its Maisons to support Diversity & Inclusion in the workplace, 300 talents, amongst which Executive Committee members, CEOs and HR Directors gathered in Paris to celebrate the Group’s achievements in terms of Gender Diversity and continue to strengthen the Group’s commitment to Diversity & Inclusion in the workplace. In addition to its objective to achieve gender parity in key positions by 2020, LVMH showed its ever growing commitment to fostering diversity and promoting a culture of respect, equality and inclusion for all, by officially signing the UN standards of conduct for business which fight against discrimination towards lesbians, gays, bisexuals, transgenders and intersexed people (LGBTI). 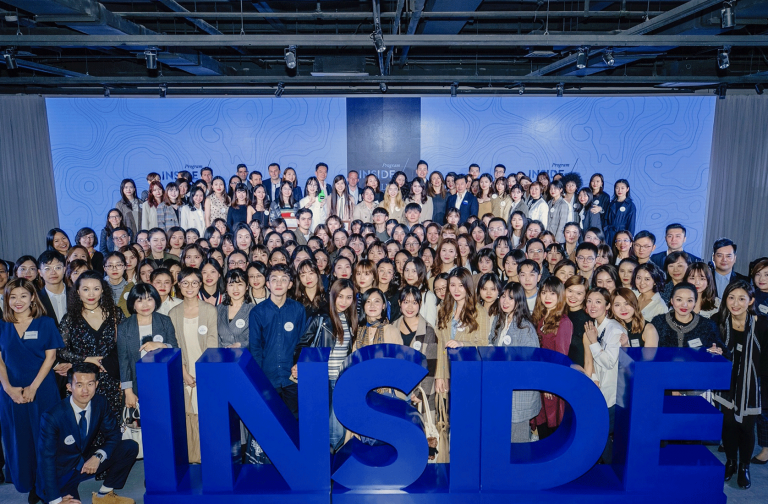 Yesterday, gender diversity programs were highlighted to showcase Maisons and people working towards the Group’s objective of achieving gender parity by 2020 in key positions. 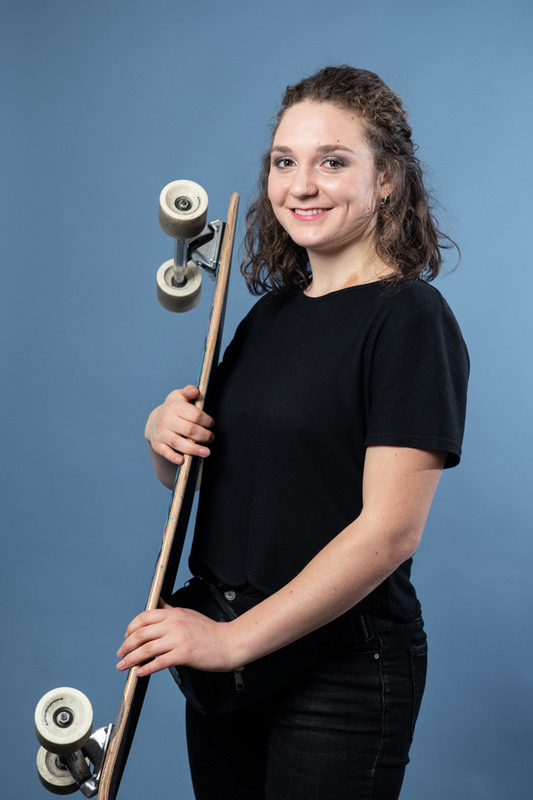 Amongst those, two innovative projects born out of the open innovation event DARE EllesVMH that took place in March 2018 were launched: SHERO, an internal digital platform & community to empower LVMH women through articles, video, podcast and more; and The Inclusion Index, a framework aimed at stimulating diversity actions internally and promoting these efforts externally to support the Group’s diversity goals. This builds upon LVMH’s existing anti-discrimination policy which started with the 2009 Code of Conduct, reviewed in 2017, followed by anti-discrimination training for recruiters since 2011 and the implementation of tests against all forms of discrimination in the recruitment process. 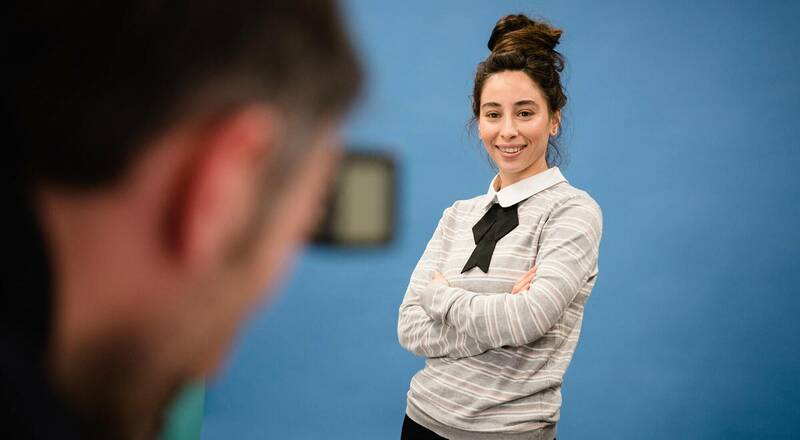 The Group is currently working on a worldwide training program around Unconscious Bias and Inclusive Leadership which will be rolled out to all employees in key positions by the end of 2019. 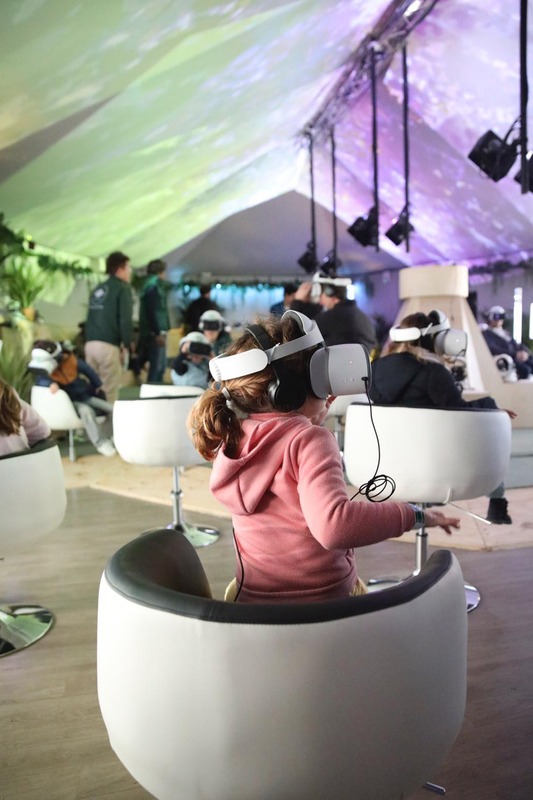 The Jardin d’Acclimatation has introduced a new marquee attraction called “Wild Immersion”, a virtual reality experience that plunges visitors into the heart of nature and wildlife. This spectacular attraction has been developed in partnership with the Jane Goodall Institute. A haven of greenery in the heart of the city, the Jardin d’Acclimatation has always been a place where people can reconnect with nature. With a resolutely contemporary vision, the Jardin has welcomed virtual reality to create an exciting new attraction called Wild Immersion. This immersive experience takes visitors on a fascinating journey into the heart of a virtual wildlife reserve. 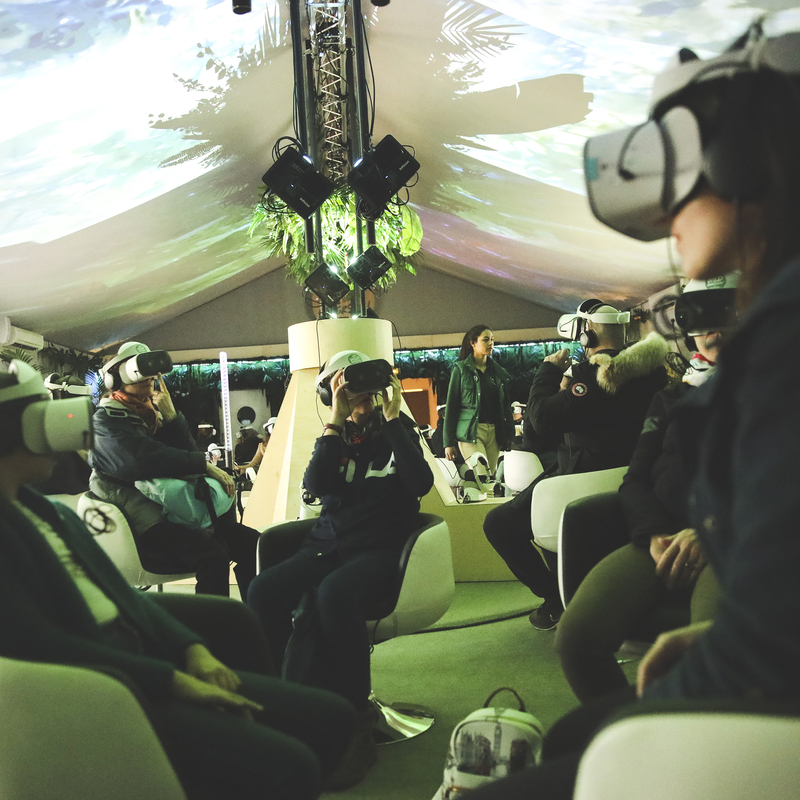 In the heart of the Palais d’Hiver in an interactive environment with lush vegetation and sophisticated sound, Wild Immersion offers a tour of the world’s flora and fauna in six films lasting 12 minutes each. Viewers find themselves face-to-face with animals from the Amazon rainforest, pandas in Asia, whale sharks in Oceania and elephants in the African savanna. What’s more, this virtual wildlife tour leaves no carbon footprint while heightening awareness of the threat to endangered species. The Jardin d’Acclimatation has made a strong statement by welcoming an attraction with a powerful educational message for young and older visitors alike on the importance of protecting nature and wildlife. To prepare the attraction the Jardin teamed with the Jane Goodall Institute founded by the celebrated English primatologist Jane Goodall, who dedicated her life to protecting animal biodiversity. One percent of revenue generated by the attraction will be donated to the institute to help fund its natural reserves. 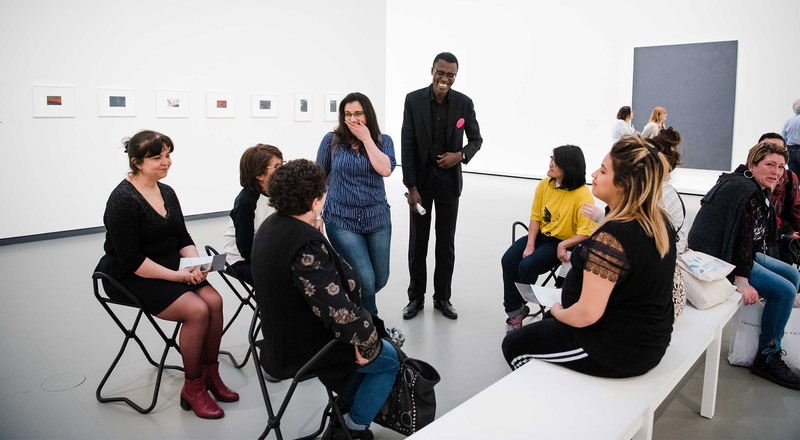 After a rich program of events in Saint-Denis, Marseille and Roubaix, the initiative “Une Journée Pour Soi” (“A Day All Your Own”) organized by LVMH in partnership with French charity Secours Populaire continued in Paris. 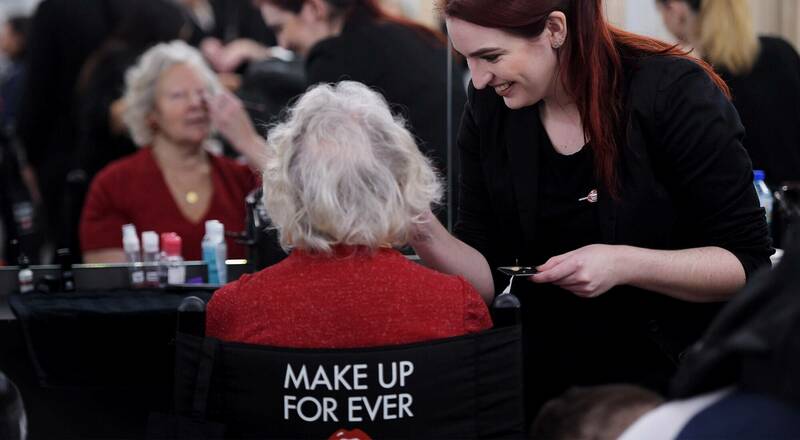 Eighty women were invited to the Make Up For Ever Academy and then the Fondation Louis Vuitton this Friday. The LVMH Group marked International Women’s Day with support for women living in vulnerable situations, giving them a day away from their problems and a chance to regain a positive image of themselves. In partnership with French charity Secours Populaire, LVMH has launched an initiative called “Une Journée Pour Soi” (“A Day All Your Own”) to benefit women living in vulnerable situations in six French cities. The first events in the three-part program in Saint-Denis, Marseille and Roubaix were full of smiles, laughter and powerful emotions. Nearly 200 women have already enjoyed a day away from their difficult daily challenges. The program is designed to help these women regain confidence and look to the future with optimism thanks to a full day of events exclusively for them: makeup workshops with makeup artists from LVMH Maisons Guerlain, Make Up For Ever and Sephora, photo shoots with professional photographers (Gilles Bensimon, Olivia Arthur, Rebecka Oftedal, Laziz Hamani, Gabriel De La Chapelle and Alain Delorme), and guided tours of cultural institutions such as the Fondation Louis Vuitton, the Musée Regards de Provence in Marseille or La Piscine in Roubaix. “Today I could just relax, it really did me a lot of good,” said Marie-Arlette, a retiree who shared her emotion during the day-long program in Saint-Denis with journalist Claire Lajeunie, author of Sur la Route des Invisibles: Femmes dans la Rue, a moving series of portraits based on first-person accounts by “invisible” homeless women. 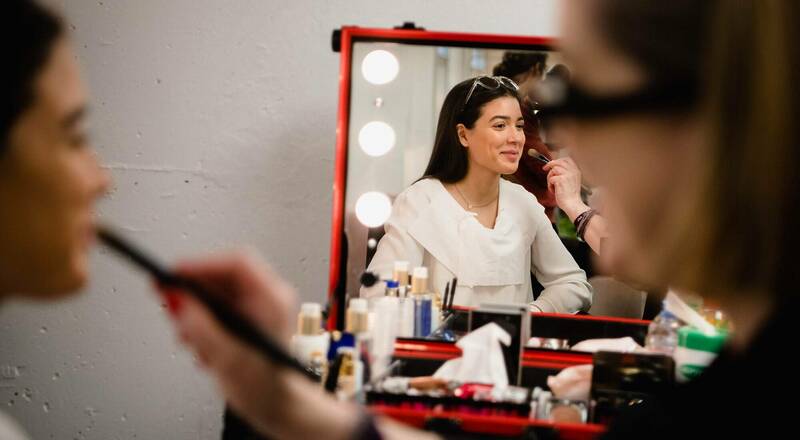 In Marseille, Michelle was unabashedly delighted with the makeup workshop: “Today I think I look beautiful! I love it, they made up my eyes, just like a princess!” “For just a short time, I rediscovered luxury. I had forgotten how pleasant the experience is,” added Katia. 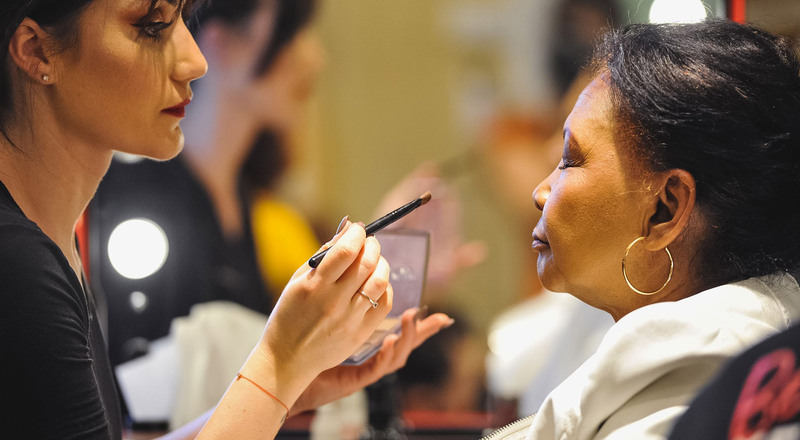 In conjunction with International Women’s Day, “Une Journée Pour Soi” came to the Make Up For Ever Academy in Paris, where 80 women whose daily lives are extremely difficult due to a variety of unfortunate circumstances enjoyed VIP beauty treatment by makeup artists from the Maison. They then had their portraits shot by photographers Olivia Arthur and Gabriel De La Chapelle. Also on the program in Paris was a guided tour of the new exhibitions at the Fondation Louis Vuitton, “The Courtauld Collection. 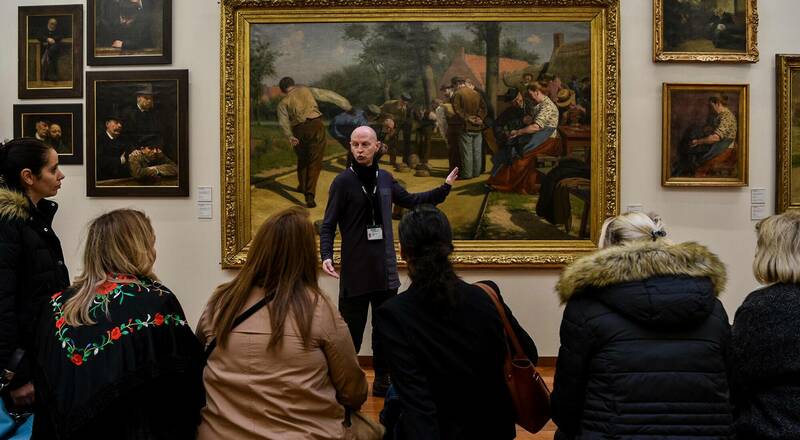 A Vision for Impressionism” and “The Collection of the Fondation. A Vision for Painting.” This short break from their daily challenges offered a chance to regain a positive image of themselves, build self-esteem and look to the future with greater optimism. The next two stops for the “Une Journée pour Soi” program will be in Reims at the headquarters of Maison Ruinart (March 18, 2019), followed by Carcassonne (on March 21, 2019). To heighten public awareness of the fact that women are the most exposed to vulnerable situations, a book will be published with a selection of these portraits and text by Claire Lajeunie. All proceeds from the sale of the book will be donated to the Secours Populaire Français. In conjunction with International Women’s Day, French charity Secours populaire is organizing an event called “Une Journée pour Soi” (“A Day All Your Own”). Some 350 women will be invited to put their daily routine aside for a day as the Secours populaire helps them regain self-confidence and look to the future. The six cities selected for this first edition in coordination with local Secours populaire organizations are Saint-Denis, Marseille, Roubaix, Paris, Reims and Carcassonne. When resolving day-to-day difficulties is a full-time activity there is little room for personal or cultural pursuits, which is why giving women an opportunity to think about themselves is essential. Whether vulnerable situations result from poverty, physical or psychological abuse, or unfortunate accidents of life, self-esteem is fundamental to personal dignity and healthy relations with others, and actively contributes to the healing process. A photo shoot with professional photographers (Laziz Hamani, Olivia Arthur, Gabriel de la Chapelle, Alain Delorme and Rebecka Oftedal), after which prints will be given to the women. 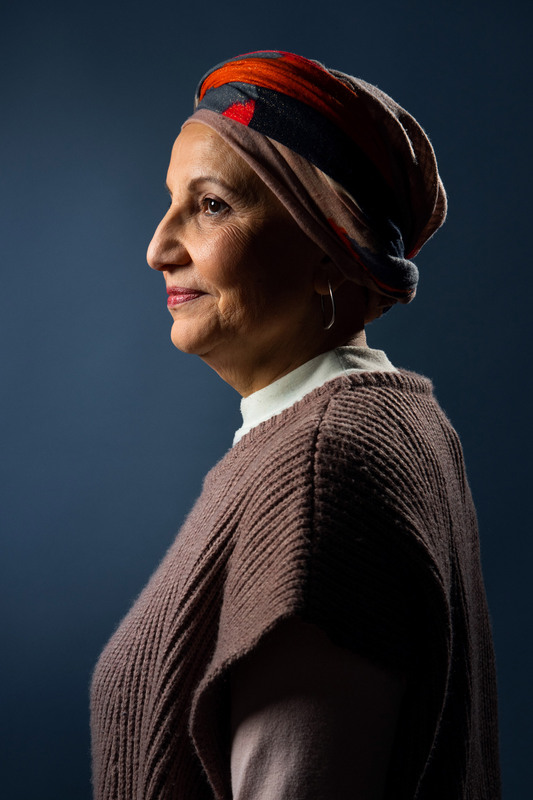 Women are the most exposed to vulnerable situations, and to build public awareness of their cause a book will be published with a selection of these portraits. The book will include text by Claire Lajeunie, filmmaker and author of Sur la Route des Invisibles: Femmes dans la Rue, a moving account of “invisible” homeless women. All proceeds from the sale of the book will be donated to the Secours populaire français. “Throughout its long history, the Secours populaire français has always stressed the fundamental importance of providing support for women. More women than men seek assistance from our volunteers across France. At the same time, there are more women than men working in management positions at our charity. 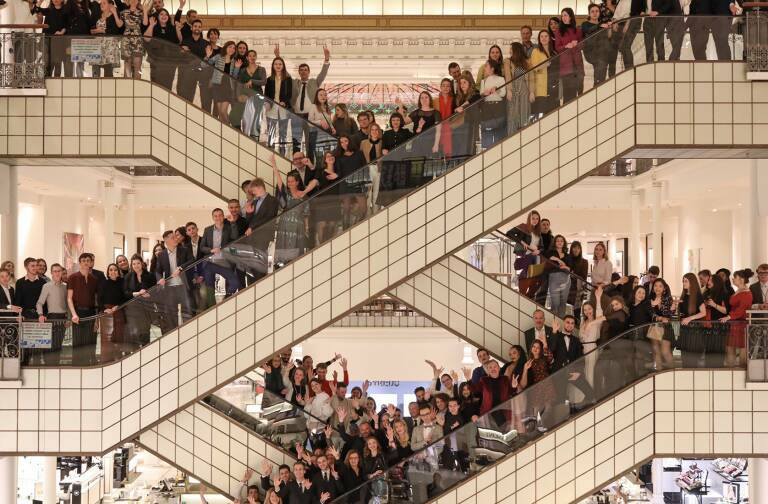 I sincerely wish every success for this generous initiative, one that is once again being organized in partnership with LVMH,” said Julien Lauprêtre, President of the Secours populaire français. “Attentiveness to the well-being of women and access to culture are both central concerns for LVMH and its Maisons. We thus believe it is essential to share our expertise in these areas with women whose paths have been impeded by difficulties. 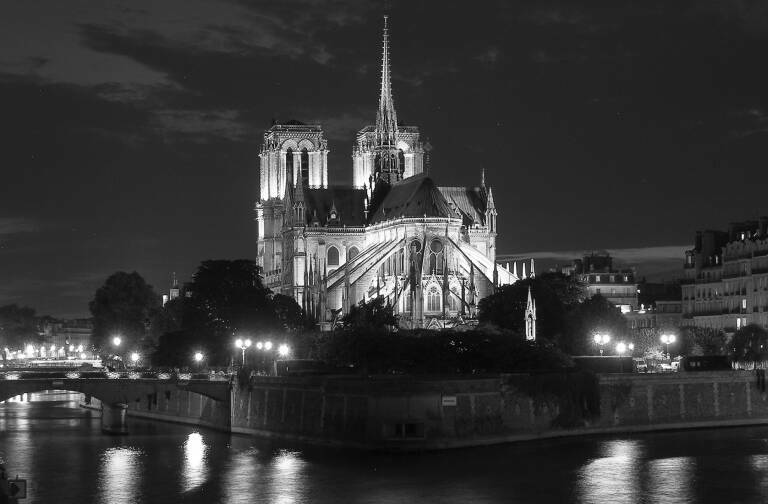 We hope that the attention they receive thanks to this initiative, in addition to ongoing support from the Secours populaire, will help bolster their resilience,” said Antoine Arnault. 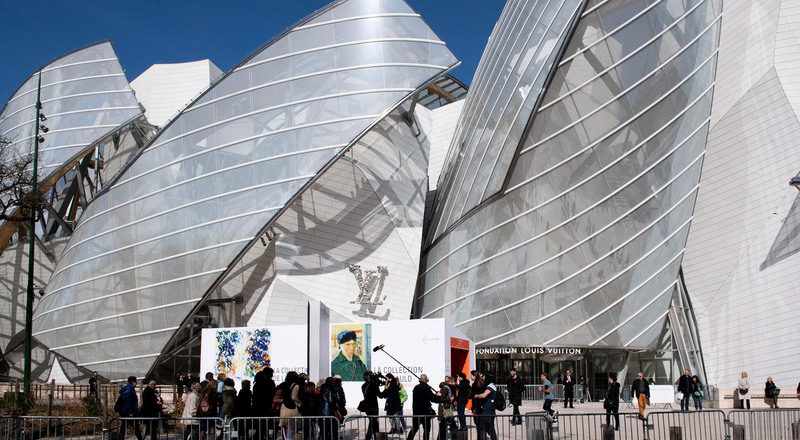 This partnership between LVMH and Secours populaire builds on the existing ties established with the Recto/Verso art exhibition and charity auction events hosted at the Fondation Louis Vuitton in 2015 and 2018. This initiative reflects the active social responsibility engagement of the LVMH Group, which has for the past ten years provided support for non-profit associations that help people rejoin the workforce in the cities of Clichy and Montfermeil, including women through the Force Femmes association, as well as support for single-parent families. “Anyone who lives in a city will know the feeling of having been there too long.” This quote from British writer and naturalist Robert McFarlane encapsulates the essence of the new Eye/LOEWE/Nature menswear collection. The clothes and accessories create the silhouette of an intrepid contemporary adventurer ready to head off and explore the four corners of the earth. To accompany this Loewe man with an affinity for nature, the Maison has created a casual line of parkas, sweaters and cargo pants with an emphasis on technical and natural materials, including recycled cotton fiber. Far from the subdued hues of traditional outdoor attire, Eye/LOEWE/Nature features a palette of vibrant colors. For the accessories, Loewe has taken advantage of Japanese high-tech expertise to craft hand-sewn backpacks in high-grade canvas with calfskin trim, intended for a nomadic lifestyle that skips effortlessly from city to countryside. 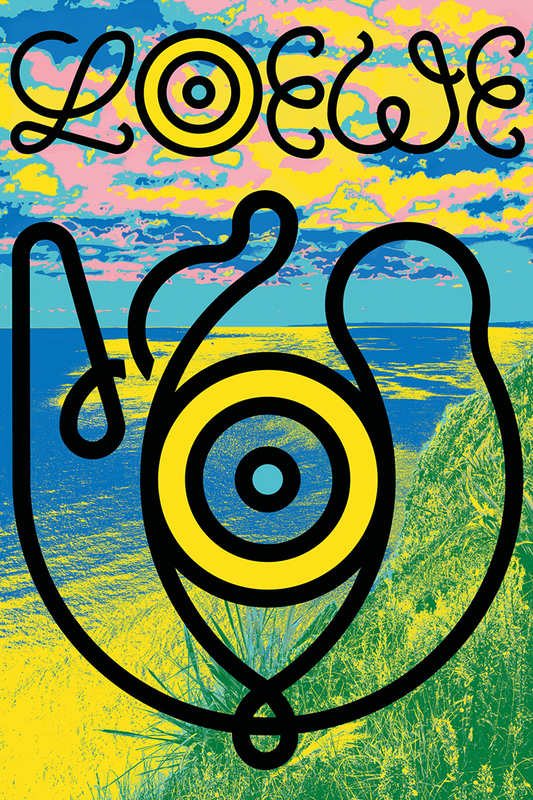 To embody the collection, Loewe traveled to the wilds of Cap de Creus in Spain as the backdrop of the campaign. The invitation to leave the beaten path is personified by British actor Josh O’Connor, who explores untamed outer reaches by bike, walking along the sand and at sea. The collection also underlines Loewe’s commitment to the environment. For every Eye/LOEWE/Nature product sold in 2019 Loewe will donate €15 to help fight plastic pollution. Since the 1930s Moët & Chandon has been the official champagne of numerous automobile competition. The Maison remains faithful to this legacy as it deepens its commitment to sustainability by partnering with the ABB FIA Formula E Championship, the fully-electric street racing series that has transformed cities around the world into race tracks since 2014. As Official Champagne Supplier, Moët & Chandon will be present at all the races during this fifth season, from the winner’s podium to hospitality areas and VIP lounges, as well as the E-Village fan zone. Concluded just ahead of the first race of season five of the ABB FIA Formula E Championship last December 15 in Ad Diriyah, Saudi Arabia, this partnership brings together two pioneers: Moët & Chandon, whose champagne has been enjoyed around the world since the founding of the Maison in 1743, and Formula E, the first fully-electric street racing championship. Beyond sharing memorable experiences, Moët & Chandon and Formula E are both dedicated to passing on their vision to future generations by leveraging technology and innovation to create greater sustainability. “Moët & Chandon looks forward to partnering with Formula E, an innovative brand that supports the future of sustainable mobility. As a Maison that has made technology an essential component of our strategy – from the broad scope of our R&D to the precision of our sustainable viticulture practices – it is a pleasure to work with Formula E, which operates at the forefront of technology and rethinks the future,” said Stéphane Baschiera, President and CEO of Moët & Chandon. The driving force behind Moët & Chandon’s partnership with Formula E is a shared commitment to the environment. Nature is precious to Moët & Chandon because it is the source of the champagne’s unique quality and identity. Moët & Chandon is not only a leader in champagne, but also in sustainable viticulture, for which it received double certification from the International Standards Organization (ISO) in 2014. The Maison has also received high quality environmental certification for all its production sites and activities since 2007. With its single-seat electric race cars, Formula E ushers in the future of automobile racing while contributing to the fight against climate change. This electric street racing series – unique in the world – has also been awarded ISO certification for leading the way in sustainable practice at international events. Moët & Chandon joins TAG Heuer, an LVMH Group watchmaking brand, among the official partners of the ABB FIA Formula E Championship. Alcohol abuse is dangerous to health, please drink responsibly. “Our position as a leader entails social and environmental responsibilities. We need to go further than simply meeting standards,” says Bernard Arnault, Chairman and Chief Executive Officer of LVMH. The LVMH Group acted on this vision throughout 2018 as it pursued commitments in a host of areas, from the launch of the We Care For Models website and the sixth edition of the Committed Companies Dinner, to the success of the LVMH Carbon Fund. Close-up on some of the social and environmental commitments that marked 2018 for LVMH. 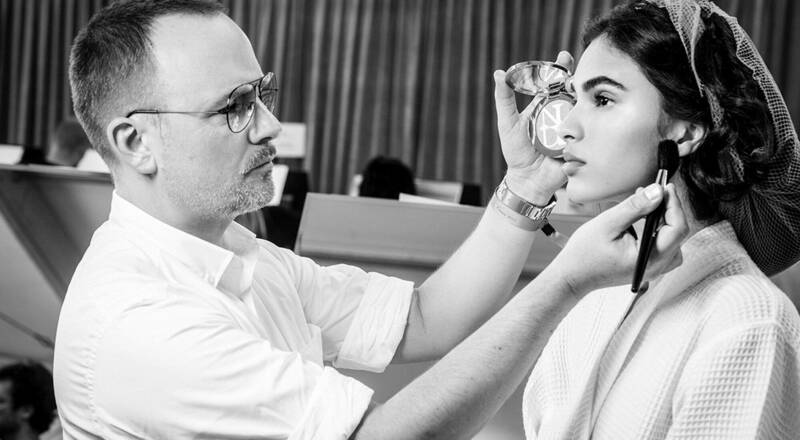 Following the creation of the Charter on Working Relations with Fashion Models and Their Well-being, prepared jointly with Kering, and the signature of the Charter by magazines Elle and Version Fémina, in February 2018 LVMH launched the website WeCareForModels.com. The site constitutes a fundamental component in the efforts initiated by the Charter to introduce greater responsibility, transparency and freedom in relations with fashion models. It reiterates the commitments made by the two groups to ensure the well-being of models and positive working relations, covering both fashion shows and photo shoots. 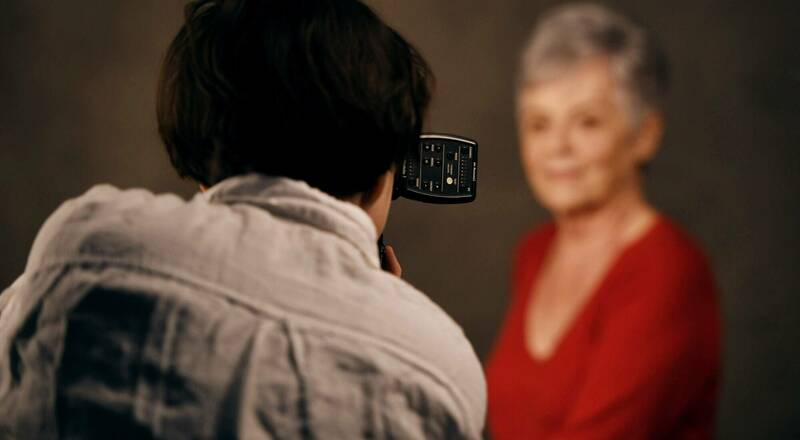 WeCareForModels.com also provides useful information for models, best practices and advice from experts. 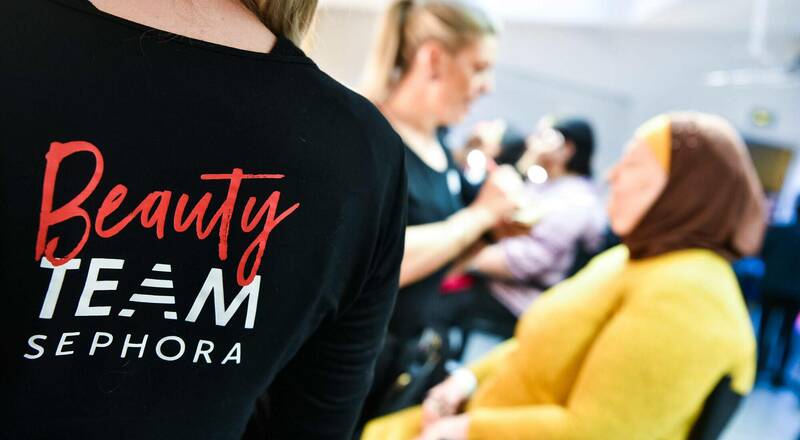 For the fourth consecutive year, Benefit Cosmetics donated 100% of proceeds from its Brow Bars to 37 charities that foster education, professional mentorship and access to wellness for women and girls. During the entire month of May 2018, 19 countries took part in this beauty for charity project, which has raised more than 9 million euros worldwide since its creation in 2015. Created in 2016, the LVMH Carbon Fund is a pillar in the Group’s LIFE (LVMH Initiatives For the Environment) environmental policy, which has announced a 25% reduction in CO2 emissions by 2020 as one of its main objectives. 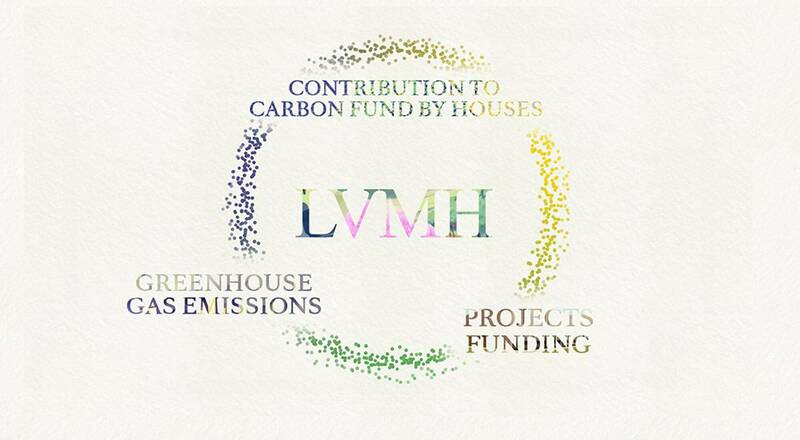 Two years after its creation, the LVMH Carbon Fund reached its 2018 objective, raising 11.3 million euros in financing for 112 projects designed to control and reduce the Group’s greenhouse gas emissions. “The success of our Carbon Fund once again underlines the major and decisive commitment of LVMH management and all our teams to help protect the environment and combat climate change,” stated Antonio Belloni, LVMH Group Managing Director. 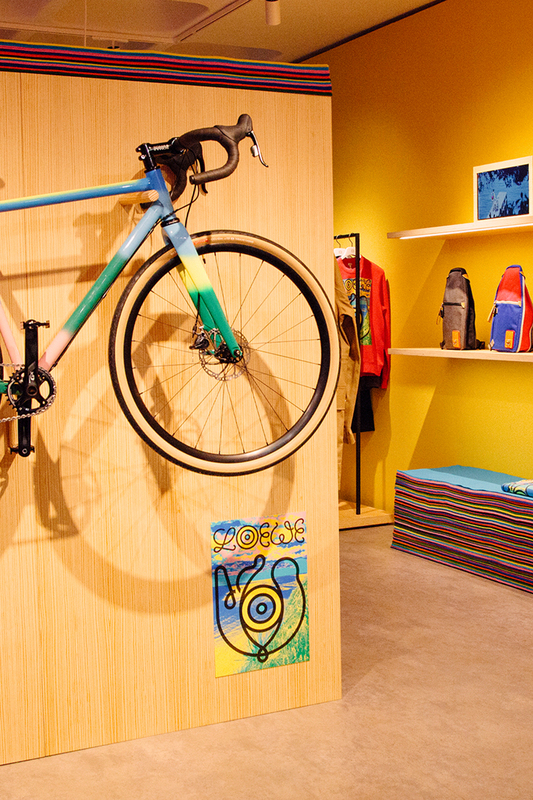 With the LIFE in STORES annual event, LVMH promotes environmental excellence by its Maisons, recognizing significant improvements in the energy performance of the Group’s retail spaces. 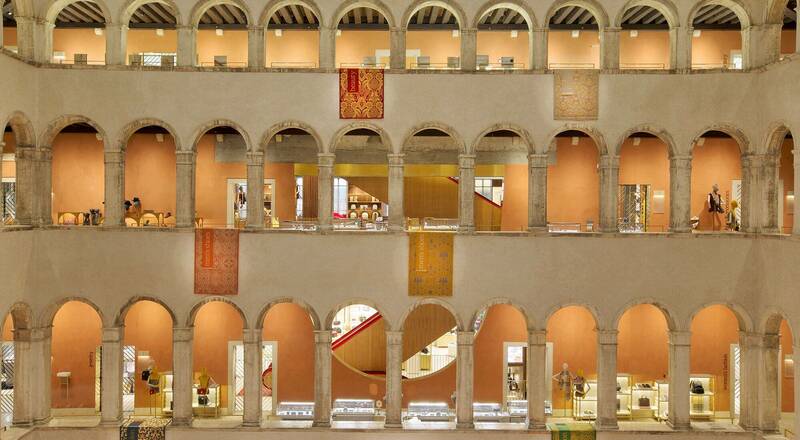 Eight initiatives received a LIFE in STORES Award at this year’s ceremony: Celine (Miami, Design District) Louis Vuitton Vendôme (Paris), Loro Piana (New Bond Street, London), Guerlain Saint-Honoré (Paris), DFS (T Fondaco dei Tedeschi, Venice), Loewe (Puerto Banús, near Malaga), Sephora (Century City, near Los Angeles) and LED Sephora Europe. “The LIFE in STORES Awards are much more than simply prizes. They inspire a virtuous circle of continuous improvement by all the Group’s Maisons,” says Environment Director Sylvie Bénard. 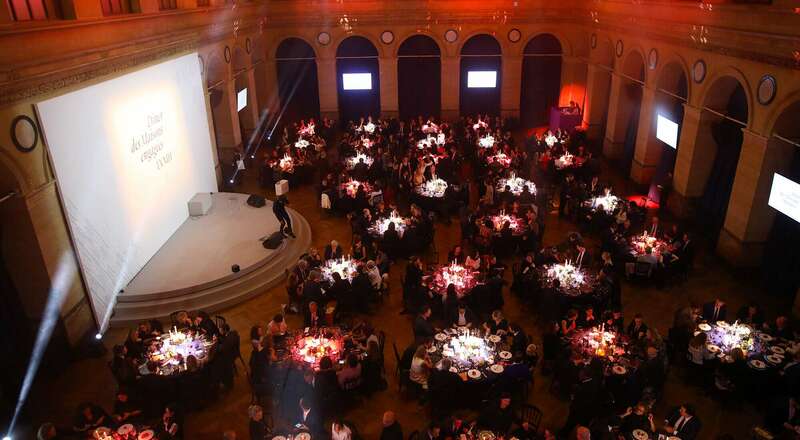 The sixth LVMH “Committed Companies Dinner” took place on December 5th at the Palais Brongniart in Paris. The annual event celebrates the commitment by the Group and its Maisons to supporting important social causes in partnership with non-profit organizations (UNICEF, Belle et Bien, Cancer@work, Ela, Epic Foundation, Esat l’Arche, Force Femmes, Kelina, Les Restos du Cœur, Les Virades de l’Espoir, Save the Children, Toutes à l’École and others). Ongoing actions throughout the year culminate with a fundraising dinner to support the fight against sickle cell anemia. LVMH and its Maisons help fund research to fight the disease and care for patients by supporting teams at Robert-Debré hospital in Paris. Iconic Bvlgari jewelry collections and exceptional pieces are featured in an exhibition at the Moscow Kremlin Museum until January 13, 2019, charting the evolution of the jeweler’s distinctive style over more than a century. The Roman jeweler’s visionary creativity, love of stunning beauty and refined craftsmanship are recounted through more than 500 pieces in the exhibition, entitled “Tribute to Femininity”. The display celebrates women who wrote their own rules, with a spotlight on film stars. More than 500 historic jewels crafted by the Maison founded in Rome in 1884 by Sotirios Voulgaris are displayed in the Assumption Belfry, the tallest monument in the Kremlin. The dazzling jewels from different eras – ranging from the late 19th century to the 1990s – illustrate how the Roman jeweler’s creativity has evolved while underscoring the Maison’s inimitable identity: a constant quest for striking colors, a playful, non-conformist spirit and innovative motifs. This avant-garde attitude not only marked a break with traditional jewelry, but also celebrated the beauty of the women who wore it. With these exceptional pieces, Bvlgari accompanied their social and cultural emancipation. A hundred of the jewels have never been displayed to the public before. The exhibition includes several stunning creations that belonged to movie stars. 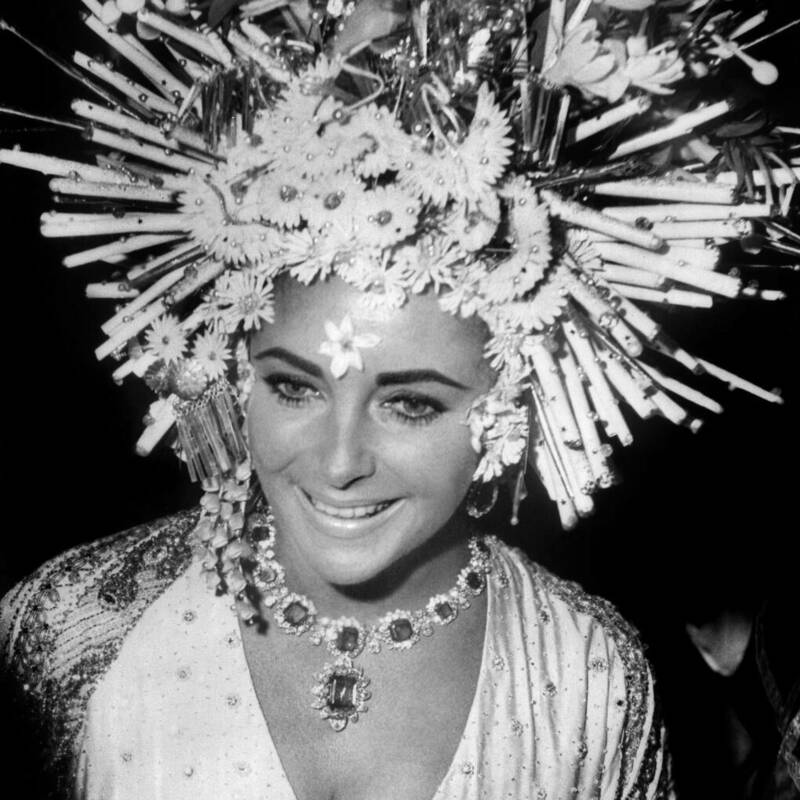 The complete collection of jewels that belonged to Elizabeth Taylor – an avid jewelry lover and loyal customer of the Maison – is on display, including an incredible necklace set with 17 Colombian emeralds. Other highlights include pieces from the collection of Italian actress Anna Magnani, among them the amazing Trombino ring with a spectacular yellow diamond of over 25 carats. Italian glamour also has pride of place with emerald drop earrings that once adorned Gina Lollobrigida, and a blue sapphire parure worn by Anita Ekberg, the unforgettable star of La Dolce Vita. The second part of the Tribute to Femininity retrospective unfolds in the Patriarch’s Palace, showcasing iconic Bvlgari collections. The Monete collection – pieces that set with ancient Roman coins – Serpenti watches and Tubogas creations all express the Roman jeweler’s unlimited creativity and rich heritage as the Maison continually reinvented itself throughout a remarkable history. The Tribute to Femininity exhibition runs until January 13, 2019. Hours: Every day from 9:30 am to 6 pm. Closed Thursdays.